The model is from Coolminiornot. I did some conversions on the lady sitting on top. I made here sit a bit more uprigth and gave here a sword and a bow to make here look more like a fighter. I also added some rope and leaves to give her more of a woodelf touch. 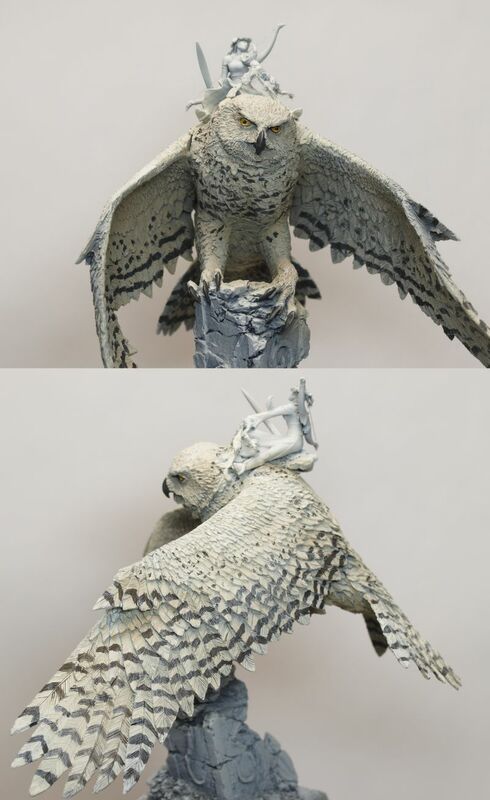 Until now, I airbrushed the owl and sketched the pattern that a snowy owl would have. Always a lot of fun our common pumpkin painting evenings. Happy to see the finished version. Looks very good so far.